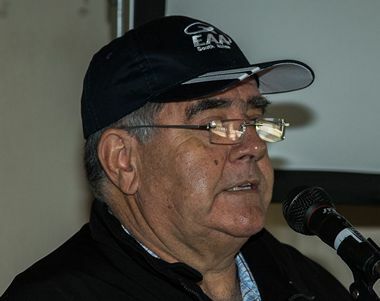 As is customary the National Convention of the Experimental Aircraft Association of South Africa is held at Margate every second year, the last being 2015. On the alternate years various chapters are given a chance to host the convention and promote their respective regions. A bit lacking in representation is the Garden Route and Cape Peninsula with a dormant Cape Town chapter (592) and the nearest active chapter in Port Elizabeth. 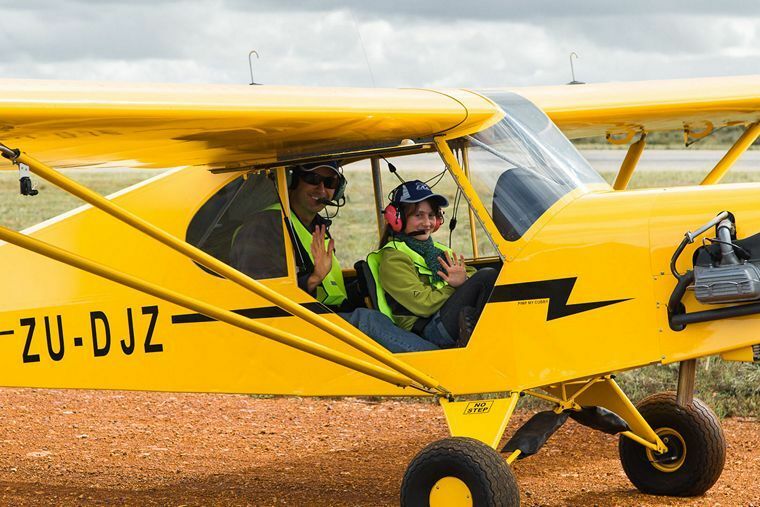 The National Council of EEA decided to team up with the Mossel Bay Aero Club to host the 2016 event in Mossel Bay to showcase the Southern Cape and make it easier for people from Southern part of the country to attend the convention. 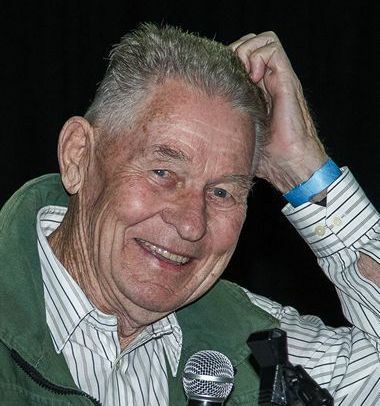 In the run-up to the Mossel Bay convention Karl Jensen (past chairman of 322) and Hartog Blok of the Mossel Bay Aero Club(MAC) visited clubs in the Cape Town area to stir some interest in getting chapter 592 going again and also spreading the word of the Mossel Bay event. Due to me having had no previous exposure to EAA events I was caught a bit off guard with the pace of things on Saturday and missed some photo opportunities, which with hindsight I should have pursued. The fact that the judging of the aircraft was running at the same time as the lectures did not make it easier for a single person to cover everything to satisfaction. So if I have missed some important moment, sorry, better luck next time. My pedometer show that I covered about 35km on foot, and that with heavy camera gear, all in 3 days, so what I missed was not due to lack of trying. As with all things flying people's peripheral vision is always on the weather. I sometimes think that there is one extra subject that should be part of the pilot's curriculum; astrology, as all activities hinges around what the weather will do. And true to form the weather played its part by trying to disrupt the 2016 Mossel Bay convention. I say try, because judging by the efforts made by some participants it did not succeed. Some people decided to come in early. Thursday evening we saw the sun set on already about 40 aircraft from various parts of the country. Some of the folk from East London and further up the coast flew as far as possible, landed, secured their aircraft, and drove down to Mossel Bay on Friday, just to spend some quality talk time with friends, old and new. Great was my surprise to find them all appearing not by road on Saturday morning but by air, having used the cover of darkness to relocate back to their aircraft to make the last hop to Mossel Bay. Having experienced my first EAA event I now fully understand why people will make that kind of effort. Yet in spite of the urge to get to Mossel Bay I still detected a healthy respect for bad weather and an “err on the safe side” attitude with all I have spoken too. 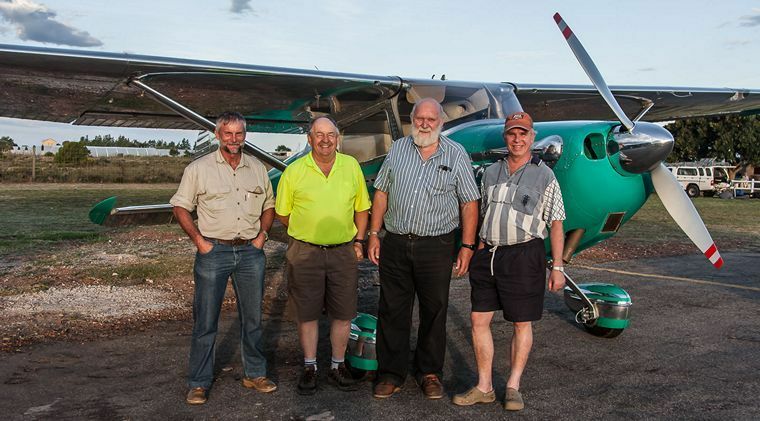 In an effort to get members of the different sections of the Aero Club of South Africa to meet and get to know each other, MISASA co-shared the Mossel Bay airfield with the EAA by organising a fly-in for their members to Mossel Bay too. MISASA chairman, John Boucher was in attendance to see that his flock is well fed and catered for. The weather has a much greater impact on LSA aircraft due to their speed and longer travel times yet a few guys from as far as Gauteng and KZN still found a safe route to Mossel Bay. As part of the LSA experience is to keep cost down the MISASA guys organised themselves a sleeping spot in the local skydive hangar instead of a soft bed in town. Having seen their sleeping quarters I must say, apart from having to sleep on a carpeted floor and not on a soft mattress they did not had it lacking. To get the weekend officially going a braai was organised at the clubhouse. It was also an opportunity to introduce the club facilities and culinary skills of the kitchen to those who had not been using it since Thursday already. The sharing of information is one of the main goals of the EAA, from what I have seen. The selection of forums covered a range of topics and although I did not sit in on all, I found the ones I did attend informative with very passionate and knowledgeable speakers. From what I have heard that applies to the ones I missed too. So to kick the event off on Saturday morning Karl Jensen introduced EAA National Chair, Paul Lastrucci, who welcomed all and sketched the program and order of events for the weekend. This was followed up by a safety briefing by safety guru Mike Visagie. As normal with flying events non aviation savvy people also need t o be airside and I was particularly impressed with the arrangements Mike introduced to make it safe for all. 1. 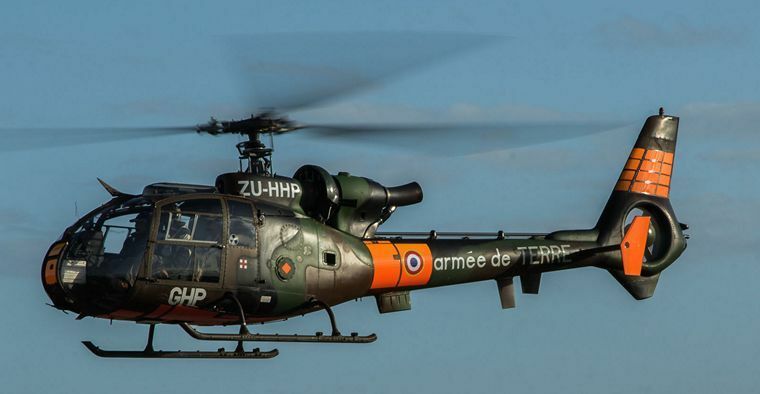 Paul Lastrucci - AP workshop, latest regulations and EAA involvement. 2. 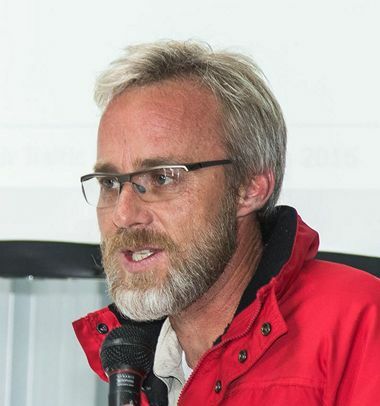 Rob Jonkers, - Siai Simulator Project. 3. Neil de Lange - Regulation update from RAASA. 4. 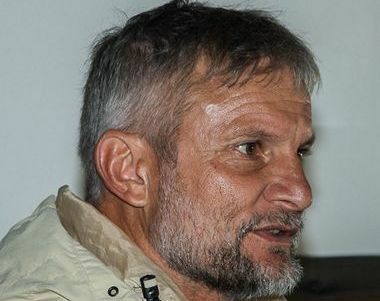 Prof Frans Grotepass - The Safari and Intelligent Innovation, a Bush Baby for the bigger pilot. 5. 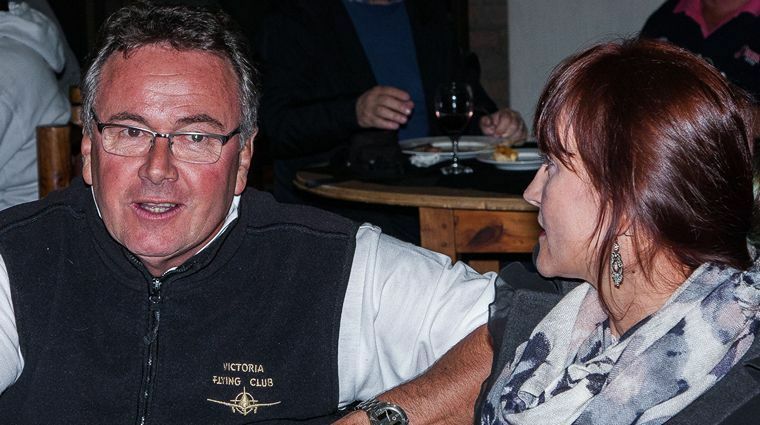 Petri van Zyl - The life of a Test Pilot. 6. Larry Homann - Wind Tunnel Basics. 7. Ivan Louw - Impact of Drones on ATC. 8. Wolfgang Vormbaum - Boere Meisie / Sea Wolf Amphibian Project. 9. Dr Mike Brown - Practical Advice on Maintaining your Medical. 10. Horace Blok - Pelican 16 - Shackleton down. Both Karl Jensen and Horace Blok took to the mike at times to drum up support for the speakers in the two forum locations. While the forums were being well attended Chalkie Stobbart and his team of able hawkeyed judges crawled all over the entered aircraft. I was present when Andy Lawrence's RV-10 was given the “fine-tooth comb” treatment, and was impressed with the emphasis that was put on finding the small bugs that may develop into a safety problem later. Just by the way, how many people know that the idiom has its origin in the practice doing just that, finding bugs? Saturday evening was concluded with a great awards dinner at the Diaz Beach Hotel, where most of the convention attendees lodged. Master of Ceremonies, Dr Mike Brown (AKA the flying doctor), kept the evening alive by presenting a well balanced program. Guest speaker, Jim Davis, had a powerful message for us all in that it is OK to say “No” if you feel out of you depth in a situation. One's life is full of events, but the final one only happens once, so we would like to stay away from the final event as long as possible by making sound decisions and operate well within one's own capabilities. Horace Blok and his wife are very involved with the local SPCA. Karl Jensen organised some copies of the video of the Pelican 16 trip which was sold off after Horace's talk. Donations also rolled in freely and Karl could present the SPCA with a sizable donation, accepted on their behalf by Laurette Blok. The usual awards were presented to all who made this event possible, from EAA side, as well as to MAC members who when through great efforts to make sure the event is a success. The award for the youngest pilot attending the 2016 convention went to Wayne Wright, son of Chapter 1262 chairman Mike Wright, all the way from East London. 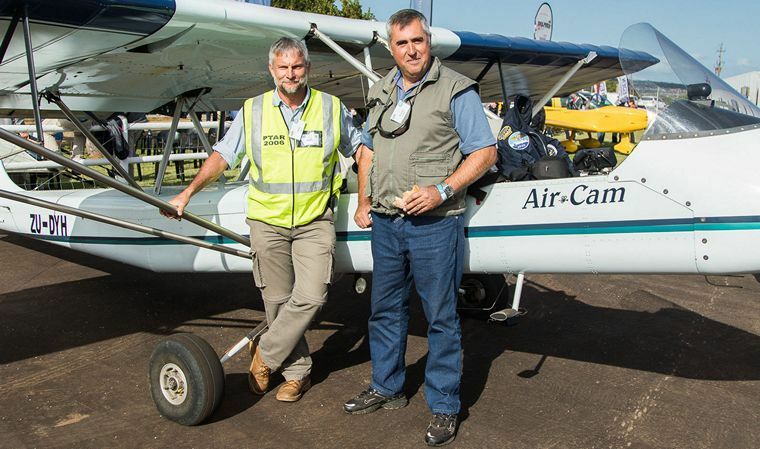 The award for the longest flight time to the event goes to Ricardo de Bonis and Mike Visagie in Ricardo's Aircam. 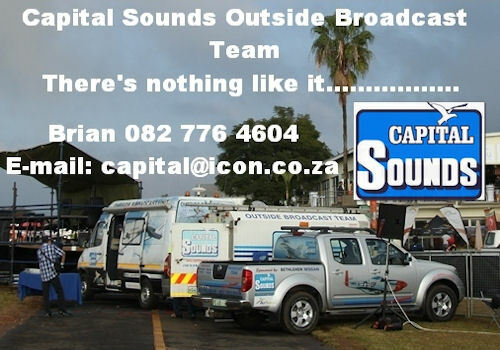 The duo took a lengthy 14 hours in the air to get to Mossel Bay, indeed low and slow, but that's why the Aircam exist. But what a trip they had. How many pilots will have the experience of locking gaze with a leopard from aloft, as happened to Mike on this trip? The award of farthest travelled was share by Ron van Lear in his Europa XS Monowheel and Peter Lea in his RV-10. Due to the approaching weather most visitors took leave of Mossel Bay early Sunday morning, and since Monday was a Public Holiday some heading to Gauteng elected to take the coastal route up to KZN before heading for Gauteng. Accurate attendance numbers are hard to come by since both EAA participants and MISASA participants have to be counted, but according to ramp master Paul Sabatier, around 75 aircraft was parked on the makeshift ramp at one time or another. A number of aircraft were housed in various hangars making an accurate count difficult. The rain also did not keep many people away as some took to the road or came by schedule flights into George. To organise an event of this magnitude take a lot of behind the scenes work by a lot of people. To do it in such a way that everybody is happy takes even greater effort. I have been fortunate to observe some of the organisational efforts that went into this event. I have also listened to the words of praise from the attendants, words that indicate that the convention was enjoyed by all. I am not going to name those who were responsible in making this event a great success as I know they do not do it to get their names in the press, they do it for aviation. But to those who made this event possible, both in planning and running it, I raise a glass in toast. May you example inspire others to follow.